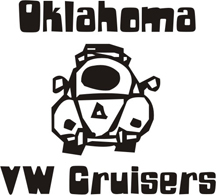 Oklahoma Vw Cruisers • I'm new here!!! How a little bit of info? Where do you live and what do you drive? Any other info would help too. Welcome, too bad you weren't on a little sooner we had the first monthly meeting last night. Please share some info, we are all glad to help.